A NON EDITABLE PowerPoint show that may not be edited and this material is less expensive than the editable version. 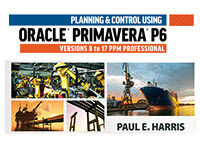 This slide presentation with approximately 500 slides is intended to be used by instructors presenting an Eastwood Harris Planning & Control Using Primavera P6 Version 8 to 18 three (3) day course. The cost will give access to a fully editable Power Point presentation where you may insert your own background and edit or add your own slides or an uneditable pdf of a PowerPoint show with Eastwood Harris logos.. The power point slides have instructor notes. The copyright of this material will always belong to Eastwood Harris Pty Ltd. Purchasers may edit and use the slides for running their own courses but may not sell the original material. - An uneditable pdf of a PowerPoint show with Eastwood Harris logos where no slides may be added deleted or edited. The copyright of this material will always belong to Eastwood Harris Pty Ltd. Purchasers may use the slides for running their own courses but may not resell or distribute the original material. 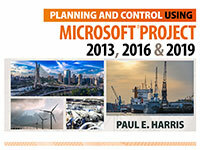 This slide presentation with approximately 295 slides is intended to be used by instructors presenting an Eastwood Harris Planning and Control Using Microsoft Project 2013, 2016 or 2019 and PMBOK Guide Sixth Edition two (2) day course. The cost will give access to a either a fully editable Power Point presentation where you may insert your own background and edit or add your own slides or an uneditable pdf of a PowerPoint show with Eastwood Harris logos. The power point slides have instructor notes. The copyright of this material will always belong to Eastwood Harris Pty Ltd. Purchasers may edit and use the slides for running their own courses but may not sell the original material. 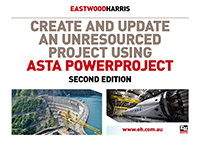 This slide presentation with approximately 280 slides is intended to be used by instructors presenting an Eastwood Harris Create and Update an Unresourced Project using Asta Powerproject two (2) day course. The cost will give access to a fully editable Power Point presentation where you may insert your own background and edit or add your own slides or . The power point slides have instructor notes. The copyright of this material will always belong to Eastwood Harris Pty Ltd. Purchasers may edit and use the slides for running their own courses but may not sell the original material. The cost will give access to an uneditable PDF of a PowerPoint show with Eastwood Harris logos. There are NO Instructor Notes. The copyright of this material will always belong to Eastwood Harris Pty Ltd. Purchasers may use the slides for running their own courses but may not resell or distribute the original material. 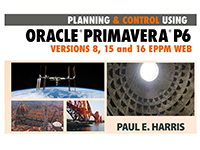 This slide presentation with approximately 384 slides is intended to be used by instructors presenting an Eastwood Harris Project Planning and Control Using Oracle Primavera P6 - Version 8.2 to 15.1 EPPM Web two (2) day course . The cost will give access to either an editable Powerpoit Presentations or an uneditable PDF of a PowerPoint show with Eastwood Harris logos. The copywrite of this material will always belong to Eastwood Harris Pty Ltd. Purchasers may use the slides for running their own courses but may not resell or distribute the original material. 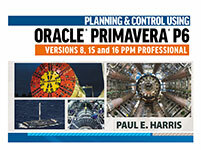 This slide presentation with approximately 500 slides is intended to be used by instructors presenting an Eastwood Harris Planning & Control Using Primavera P6 Version 8, 15 and 16 three (3) day course. The cost will give access to a fully editable Power Point presentation where you may insert your own background and edit or add your own slides. The power point slides have instructor notes. The copyright of this material will always belong to Eastwood Harris Pty Ltd. Purchasers may edit and use the slides for running their own courses but may not sell the original material. 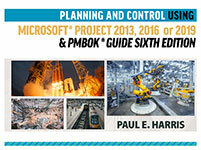 This slide presentation with approximately 500 slides is intended to be used by instructors presenting an Eastwood Harris Planning & Control Using Primavera P6 Version 8, 15 and 16 three (3) day course . The cost will give access to an uneditable pdf of a PowerPoint show with Eastwood Harris logos. No slides may be added deleted or edited.The copyright of this material will always belong to Eastwood Harris Pty Ltd. Purchasers may use the slides for running their own courses but may not resell or distribute the original material. This slide presentation with approximately 140 slides is intended to be used by instructors presenting an Eastwood Harris Practical Application of Earned Value Performance Measurement one (1) day course. The cost will give access to a fully editable Power Point presentation where you may insert your own background and edit or add your own slides. The copyright of this material will always belong to Eastwood Harris Pty Ltd. Purchasers may edit and use the slides for running their own courses but may not sell the original material. Purchasers may print out their own student handouts by printing the slide show as "Notes Pages" from the "Print" dialogue box or ordered using the link above. The cost will give access to an uneditable PDF of a PowerPoint show with Eastwood Harris logos. No slides may be added deleted or edited.The copyright of this material will always belong to Eastwood Harris Pty Ltd. Purchasers may use the slides for running their own courses but may not resell or distribute the original material. Student workbooks will need to be ordered from www.eh.com.au or www.eastwoodharris.com to accompany this Powerpoint show. . This slide presentation with approximately 99 slides is intended to be used by instructors presenting an Eastwood Harris Principles of Planning for Building and Construction one (1) day course . The cost will give access to an uneditable pdf of a PowerPoint show with Eastwood Harris logos. No slides may be added deleted or edited.The copyright of this material will always belong to Eastwood Harris Pty Ltd. Purchasers may use the slides for running their own courses but may not resell or distribute the original material. Student workbooks will need to be ordered from www.eh.com.au or www.eastwoodharris.com to accompany this Powerpoint show. 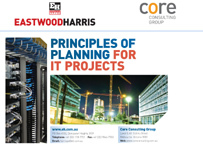 Training material available from Eastwood Harris may be purchased directly from Eastwood Harris Pty Ltd. Bulk orders for 5 or more books may be made through Eastwood Harris. These books, when in stock, are mailed the day after payment is received, however books are usually printed on demand and therefore printed and posted normally within 5 working days. Discount will be available for bulk orders and book sellers. Please email to harrispe@eh.com.au for additional information. Special discount is available to Universities for orders of 20 or more books. Books mailed by International Air Mail from Australia is stated by Australian Post to take less than 10 working days. There is NO tracking with International Air Mail. Eastwood Harris will provide proof of postage but does not accept responsibility for the performance of any postal service. DISCLAIMER: Eastwood Harris is not able to take responsibility for books after they have been dispatched. Eastwood Harris is will provide proof of dispatch on request. Express Courier International is a courier service available through the world postal system, where the delivery is stated by Australia Post to take less than 5 working days. The parcel is placed on the first available aircraft, a physical delivery address (not a Post Box) must be supplied and a signature must be provided on delivery. Express Courier International service incurs additional charge of Australian$25 for the first book and Australian$10 for each additional copy. If you wish to have the ability to track you order then you must pay the additional cost for the Express Courier International service. Please email harrispe@eh.com.au if you require this service. Yes - click on the PayPal icon above to purchase one copy. Yes - click on the PayPal icon above to purchase one copy. Yes - click on the PayPal icon above to purchase one copy. Yes - click on the PayPal icon above to purchase one copy. Credit Card payment - Visa, Master Card and Amex only. Payment by Telegraphic Transfer in currencies other than Australian Dollar, US Dollar or UK Pounds incur an additional charge of $AUS25.00 due to the Australian Banks foreign exchange processing charges. Bank details given on request. Credit card orders will be charged in Australian dollars and your credit card company will convert the charge to your currency. You may incur charges for this transaction. A company PO will be accepted in Australian Dollars from companies in Australia. Any other method of payment may be negotiated and discount is available for large orders.